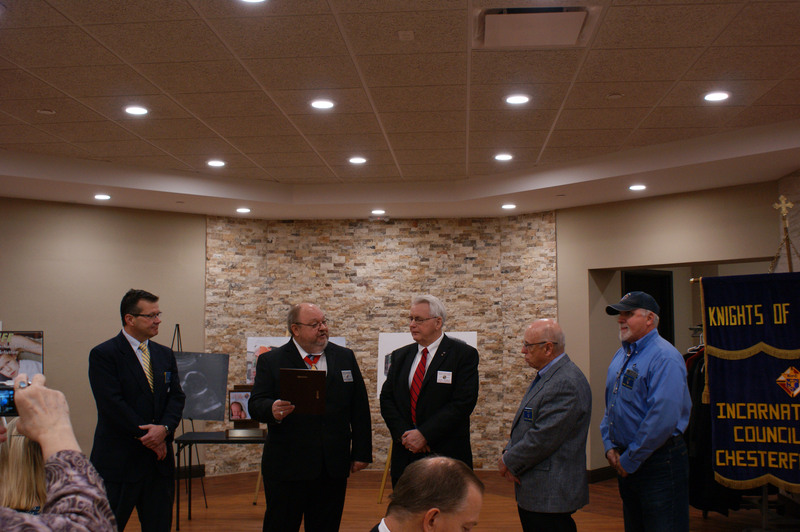 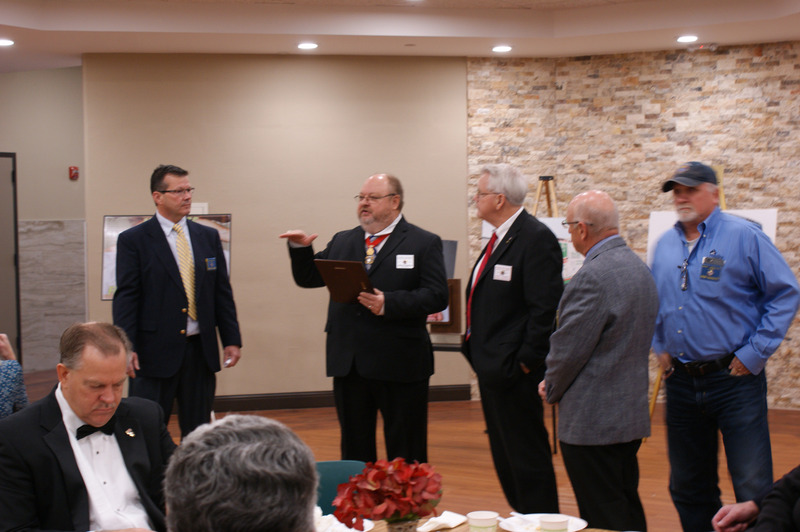 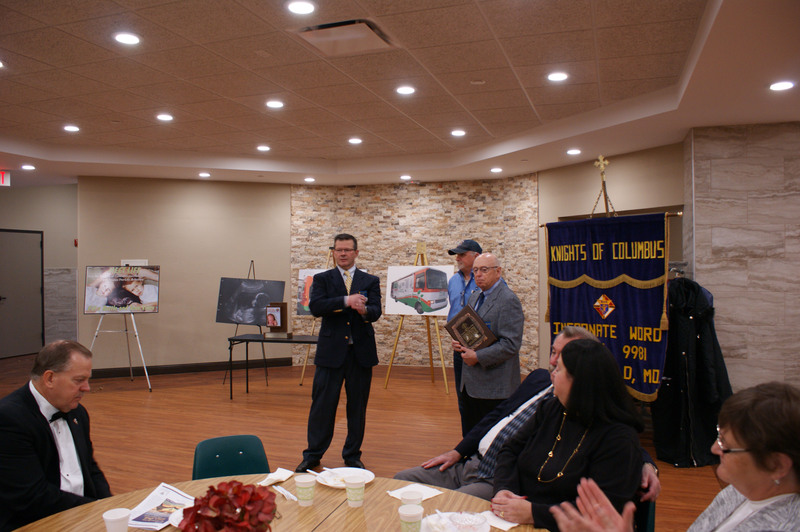 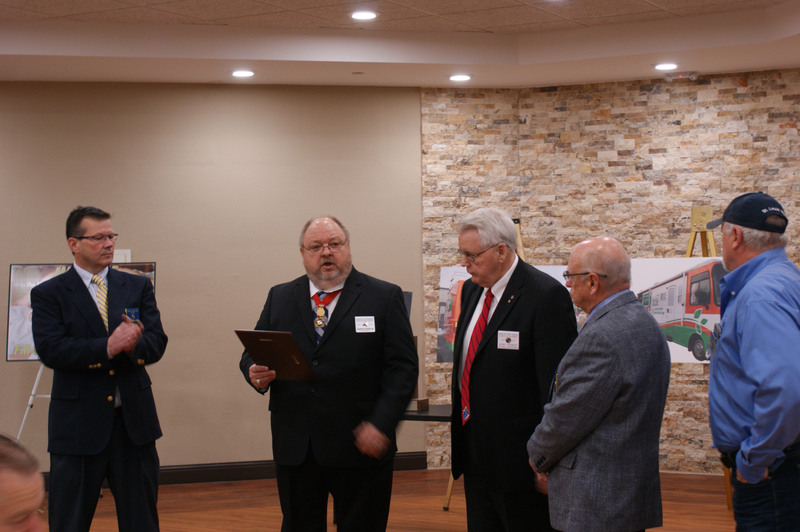 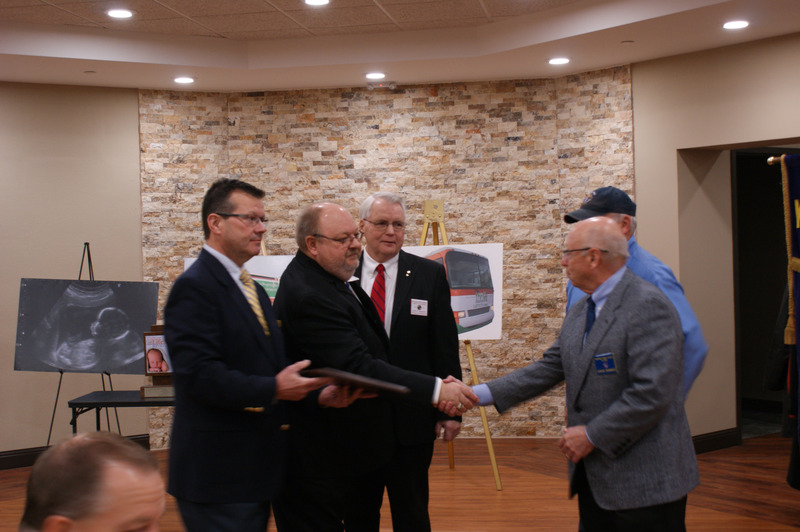 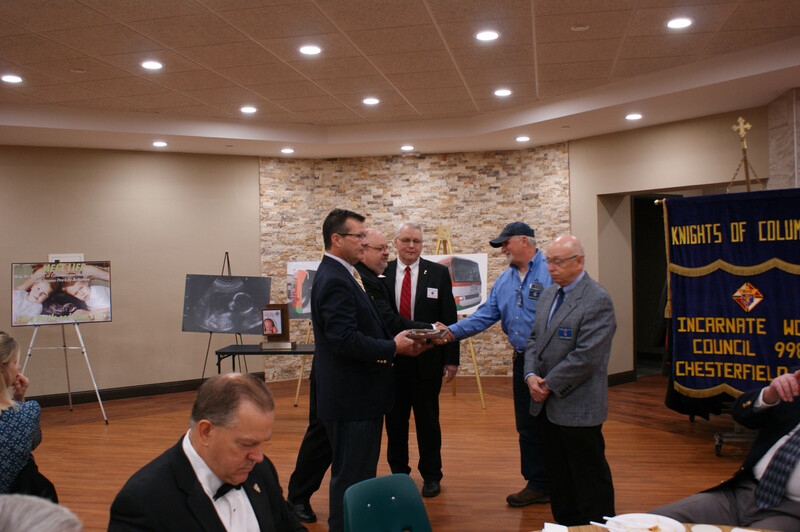 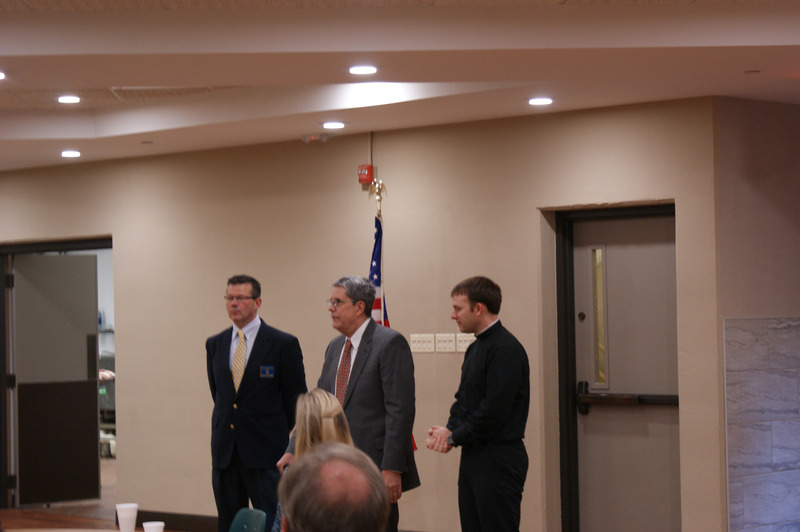 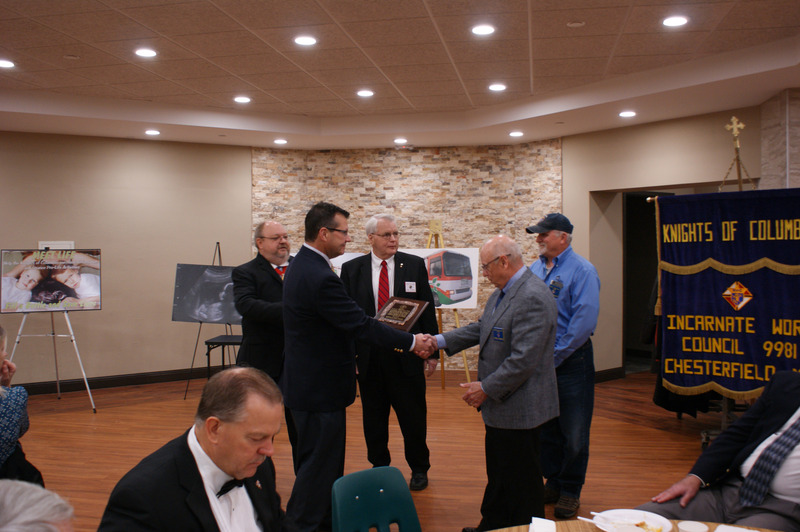 IWKnights Steve Dickhut, Rob Schultz, and Grand Knight Chris Williams accepting two Pro-Life awards from the MO Knights of Columbus. 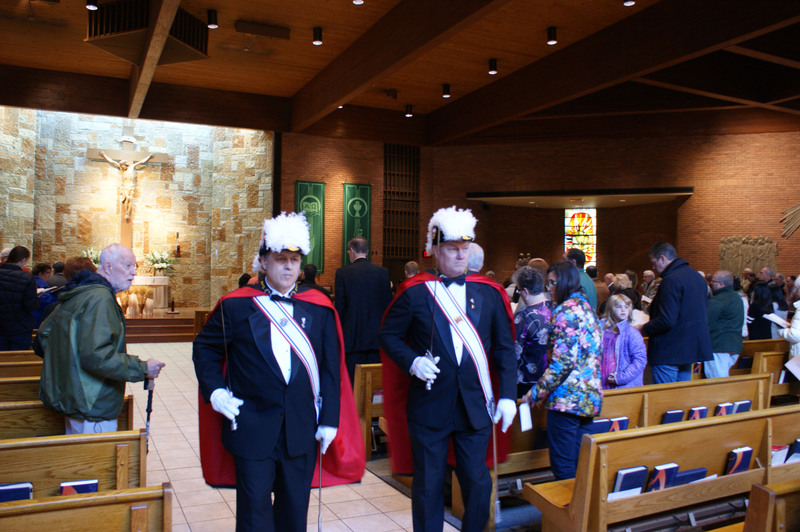 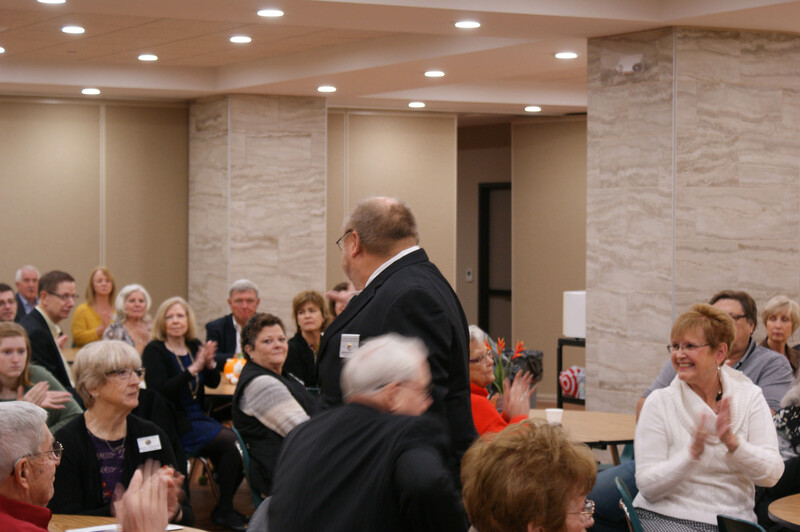 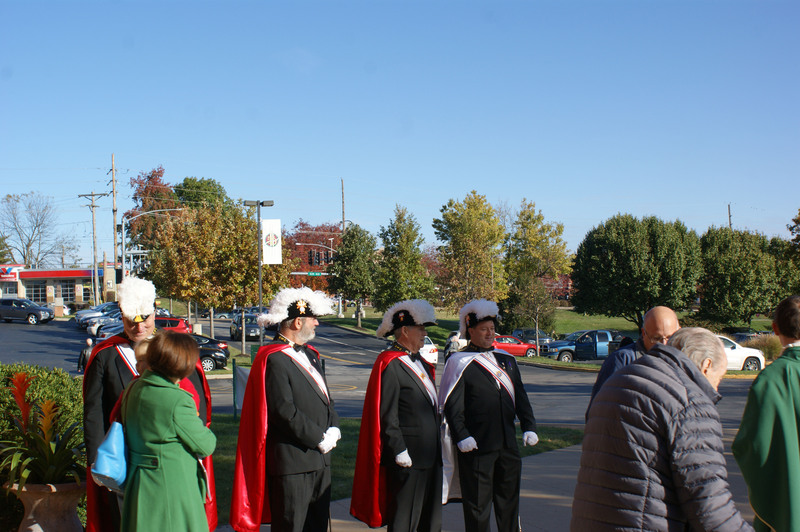 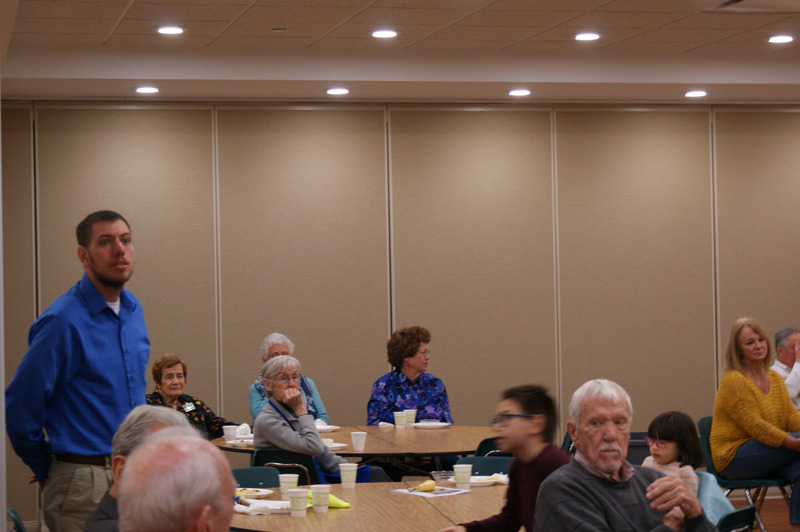 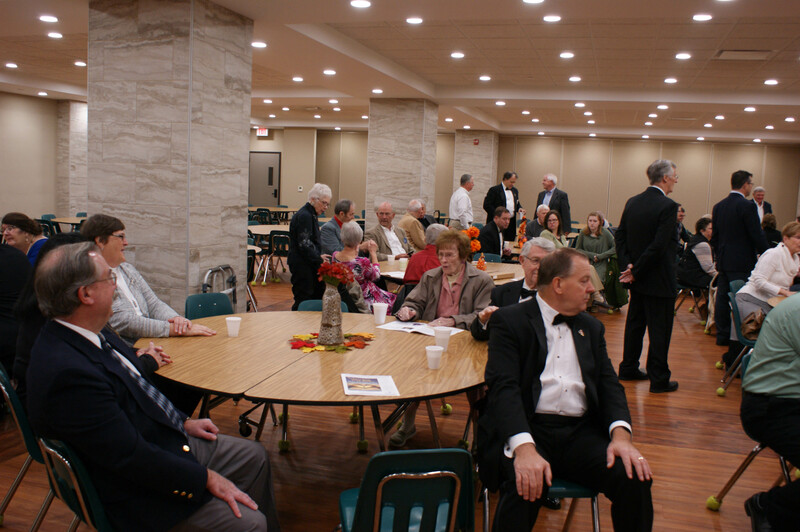 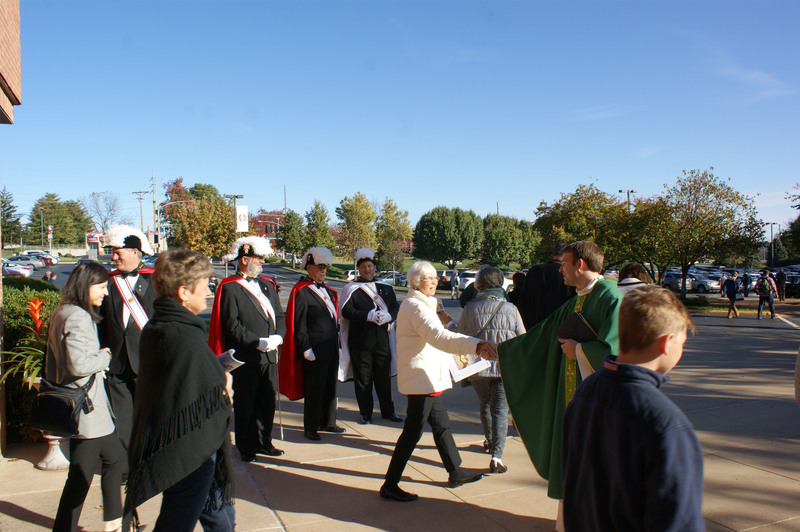 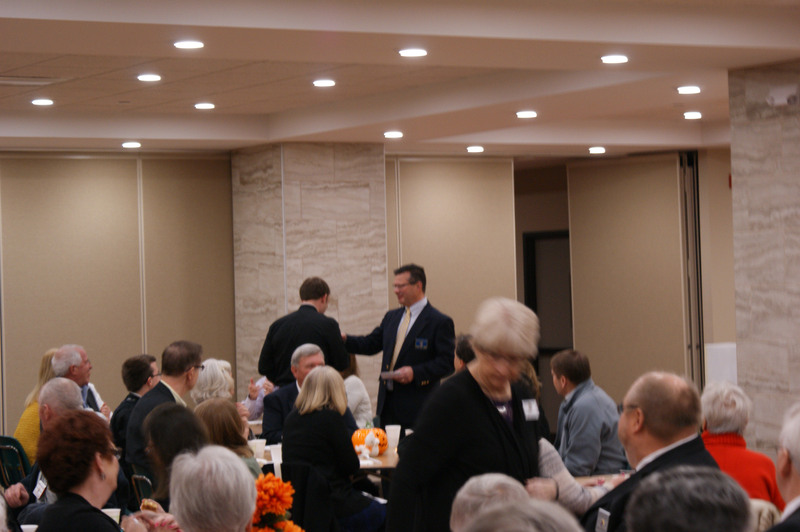 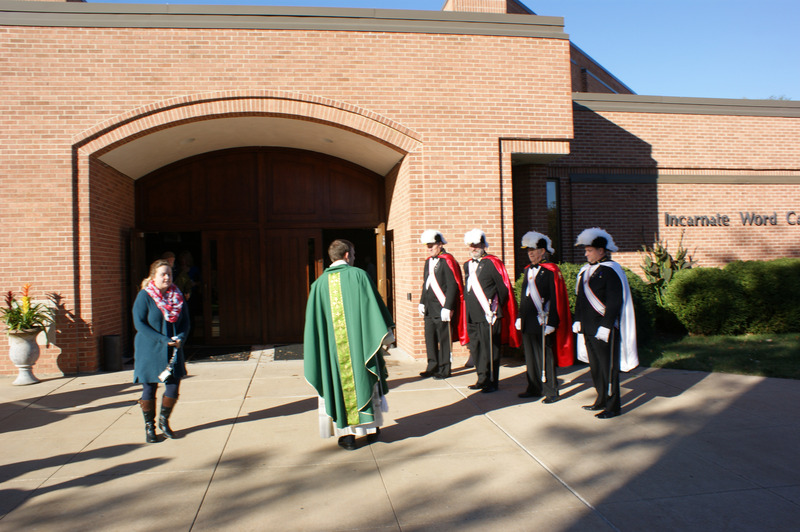 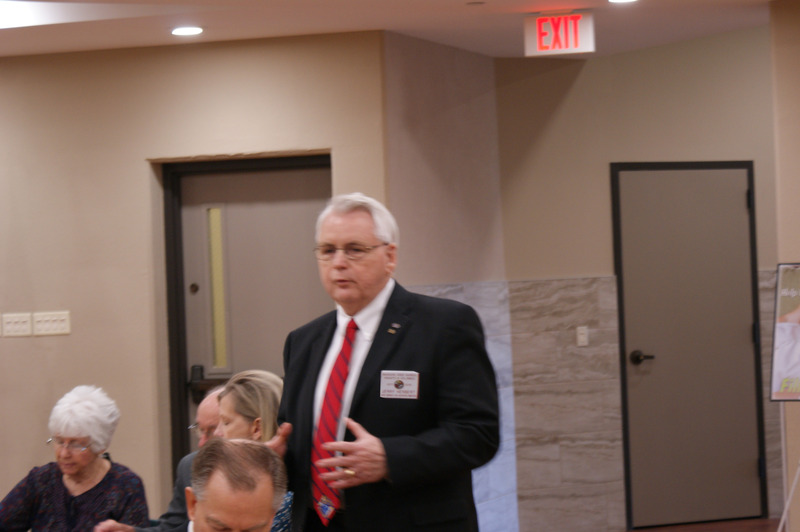 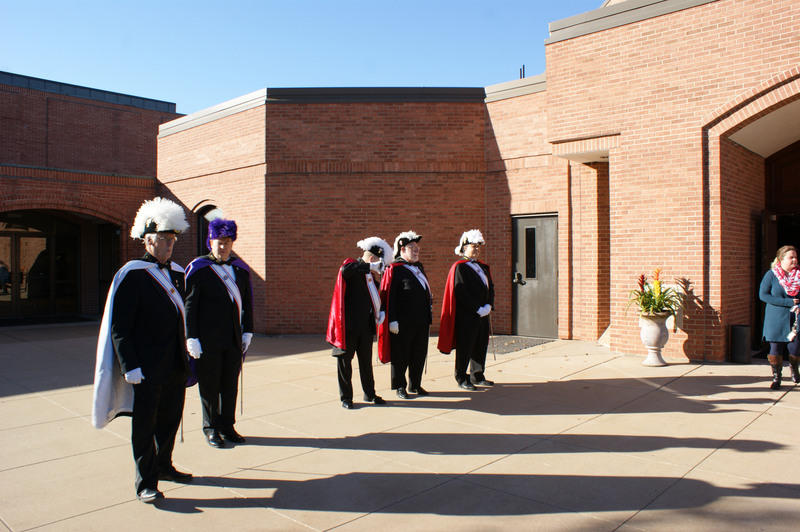 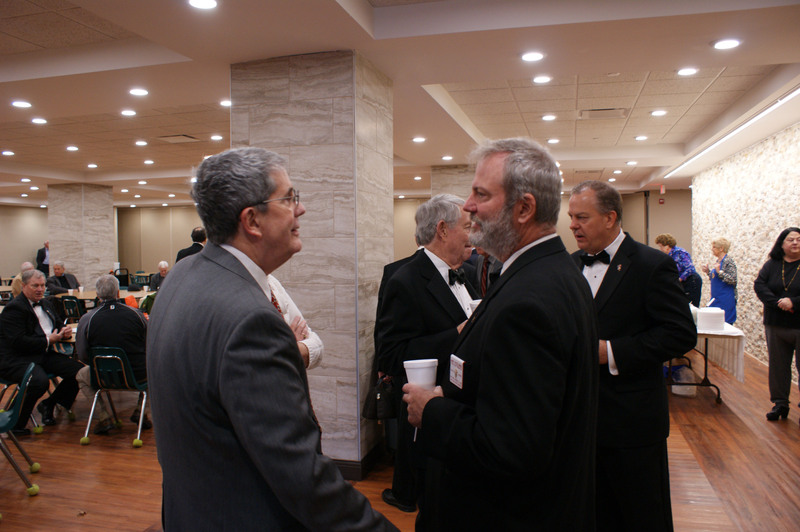 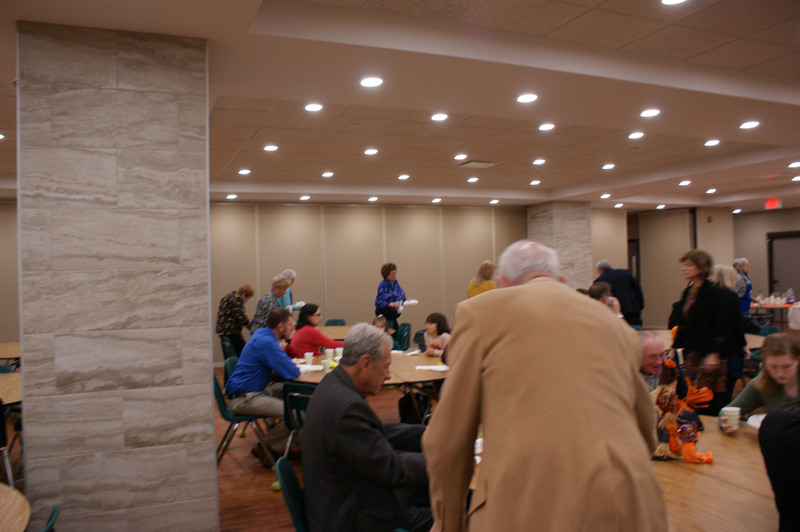 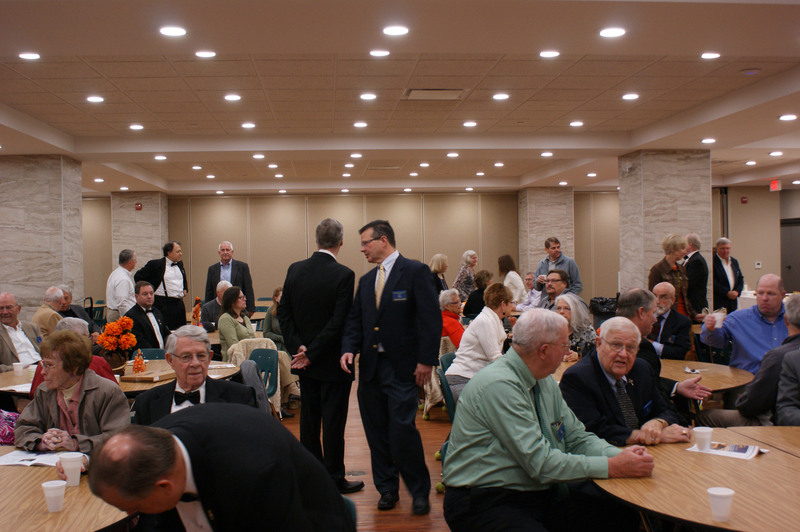 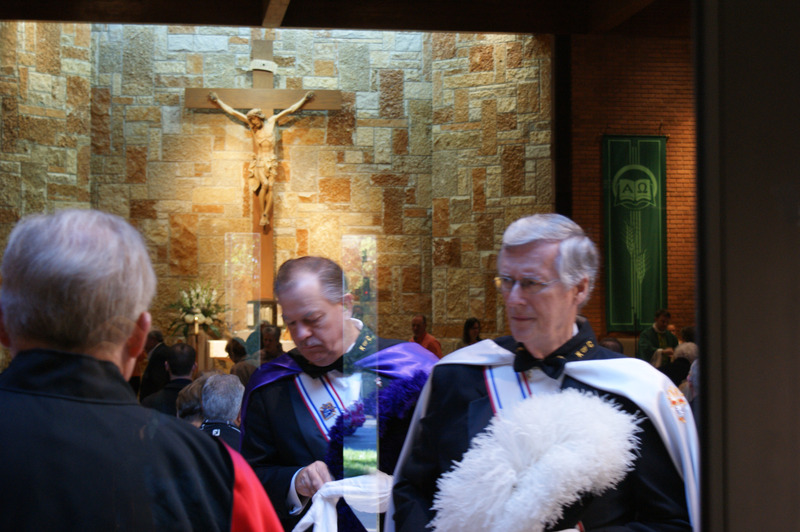 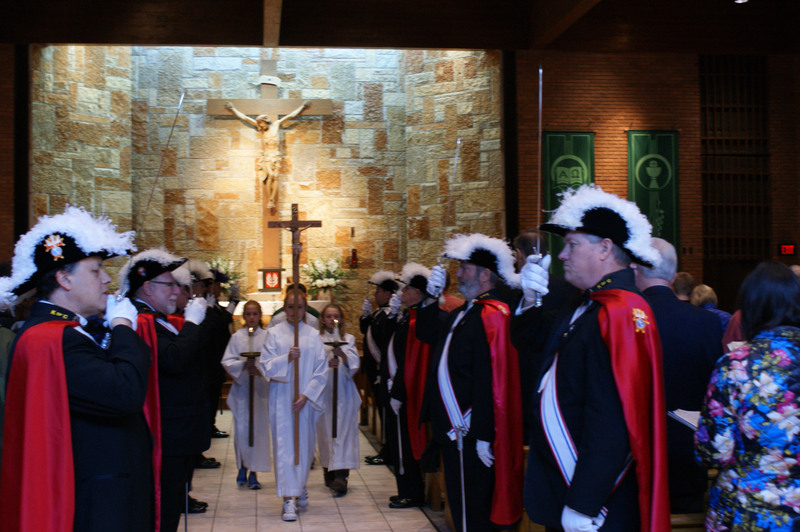 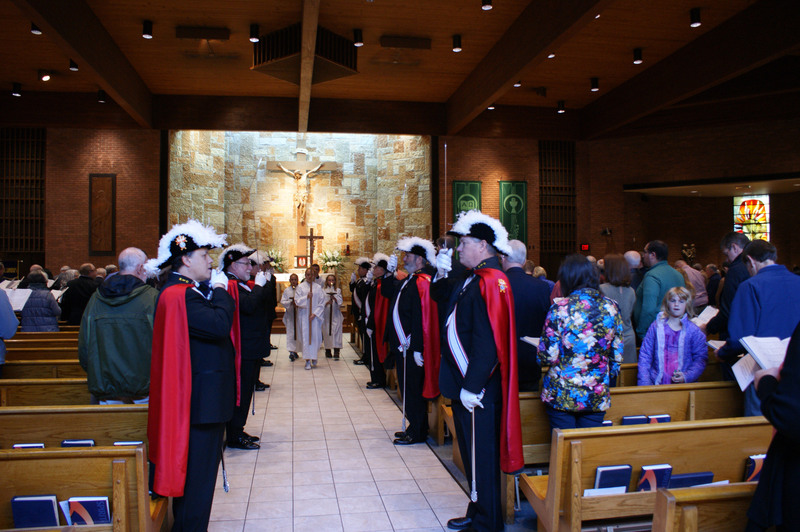 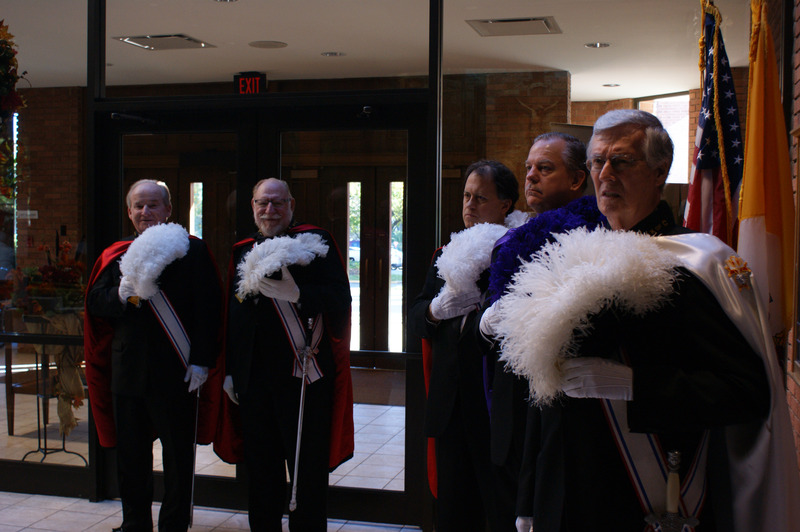 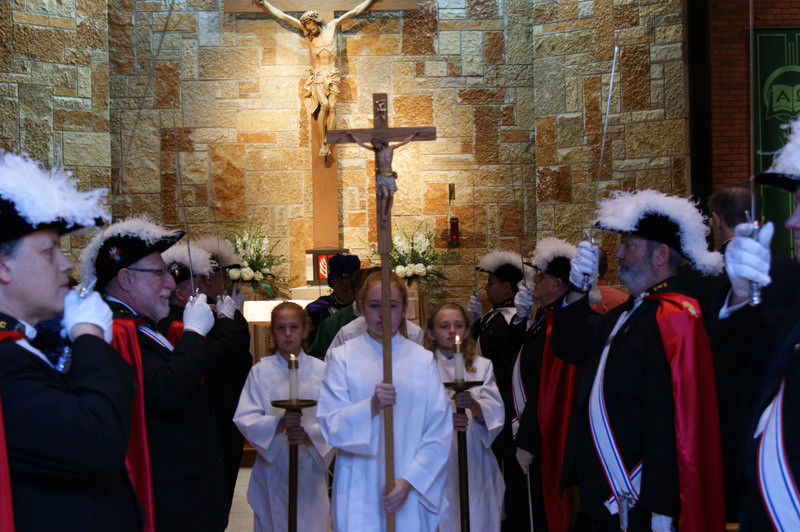 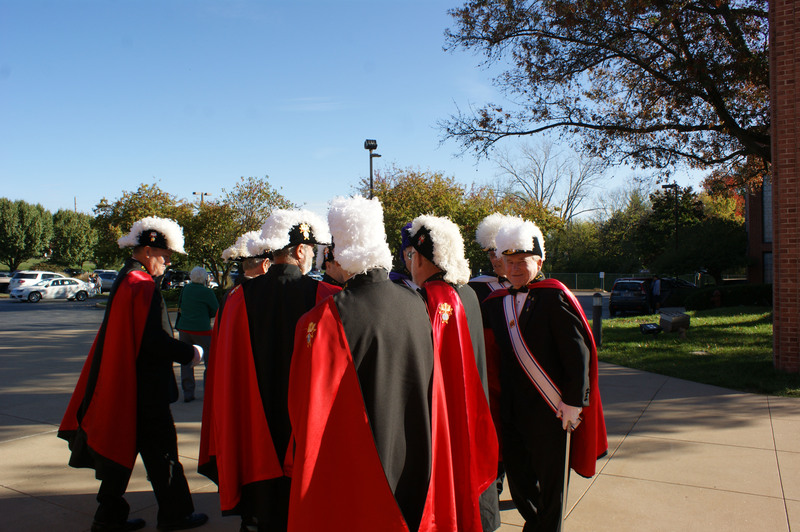 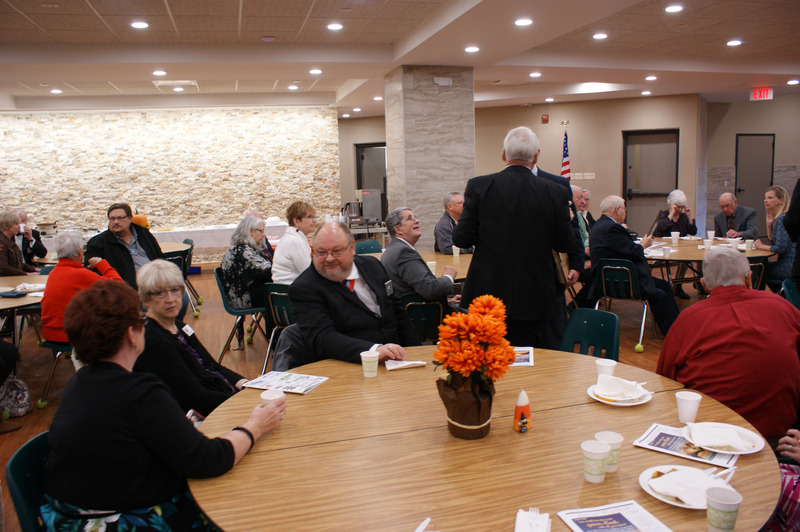 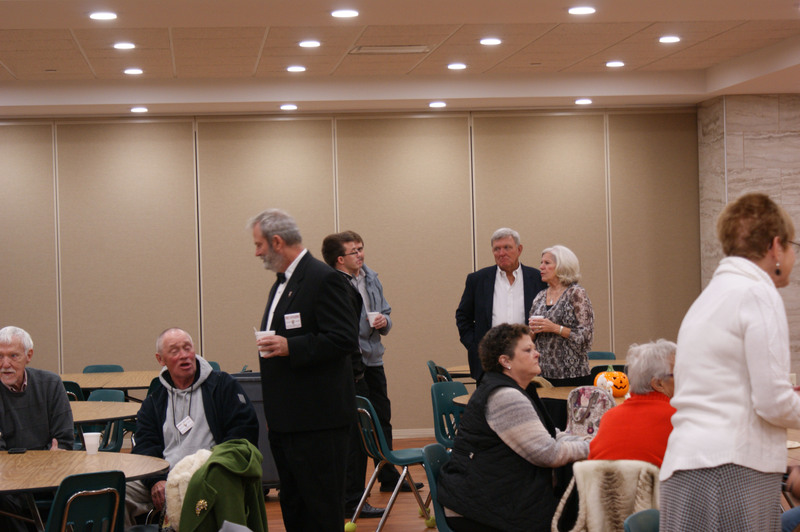 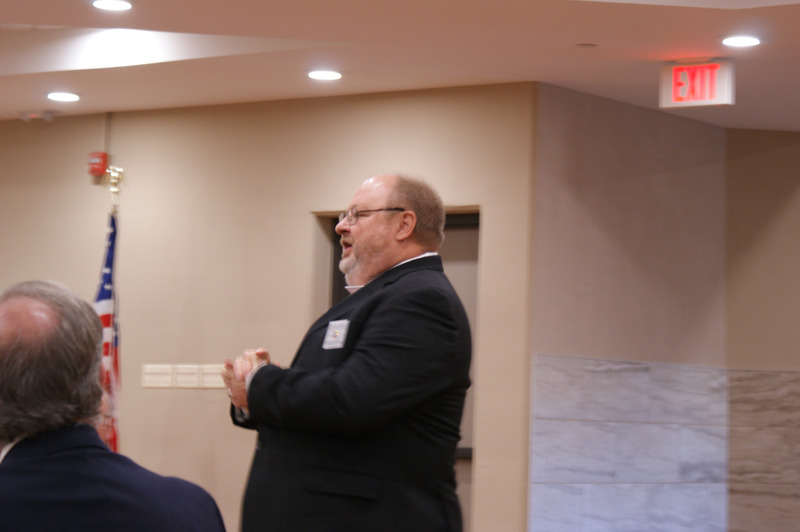 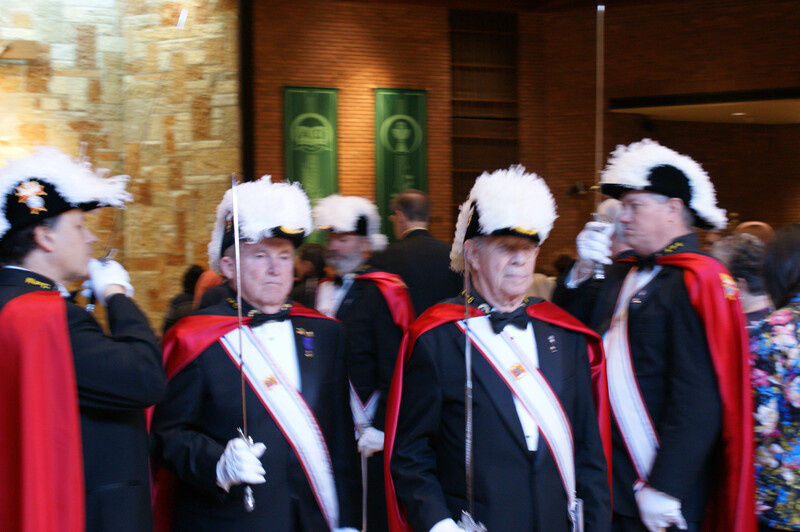 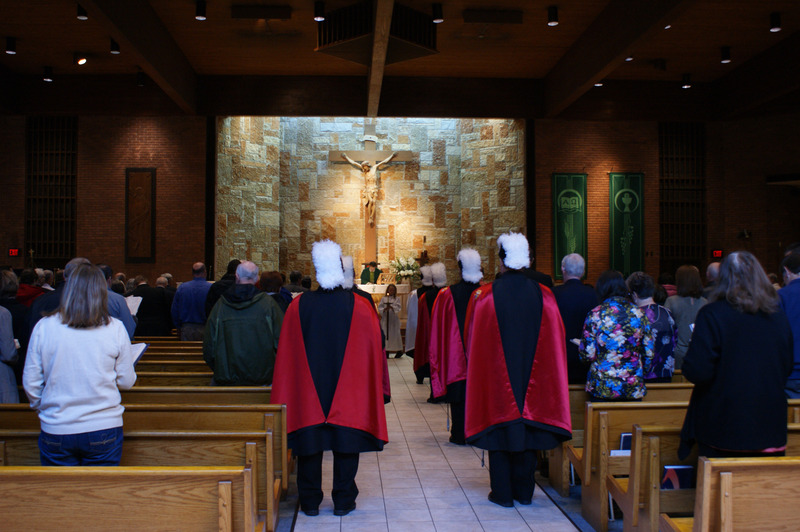 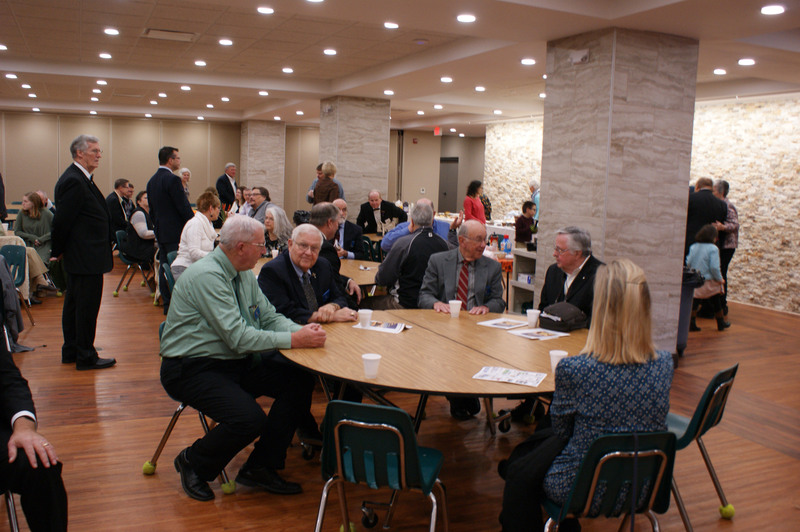 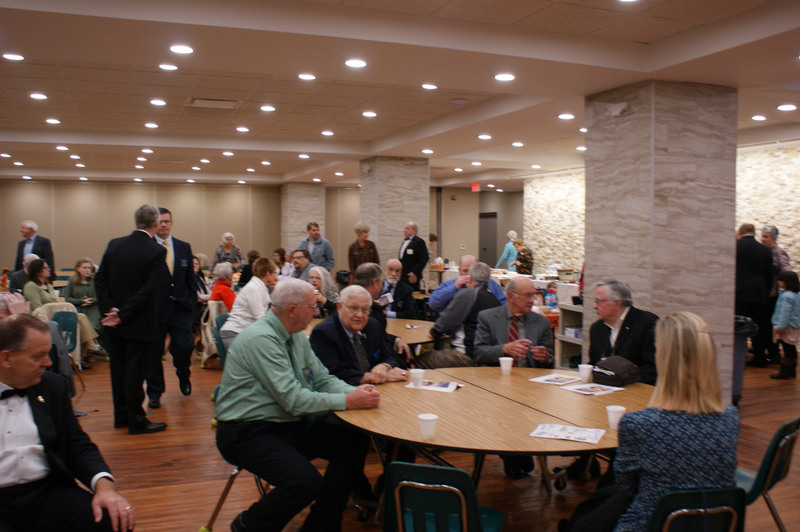 Last Sunday, October 29th, the Missouri KofC State Deputy, Joe Rosenthal, and State Respect Life Director, Jerry Herbert, joined the Incarnate Word Knights and Ladies at our 5th Sunday Mass and brunch. 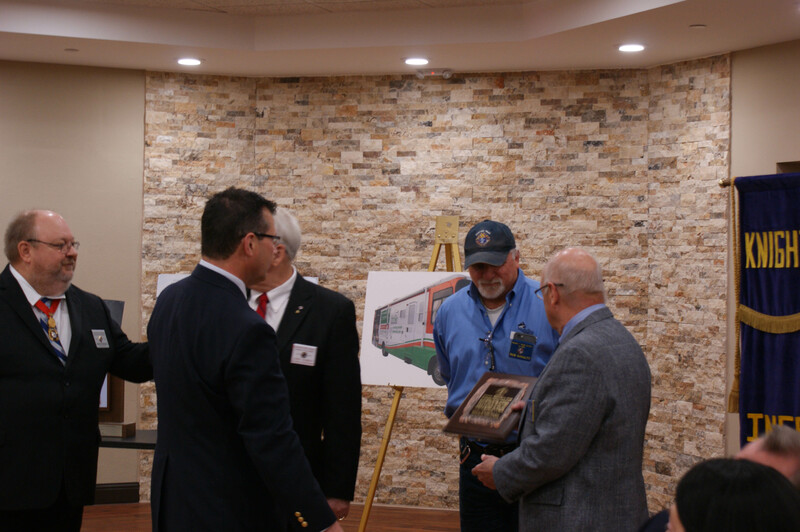 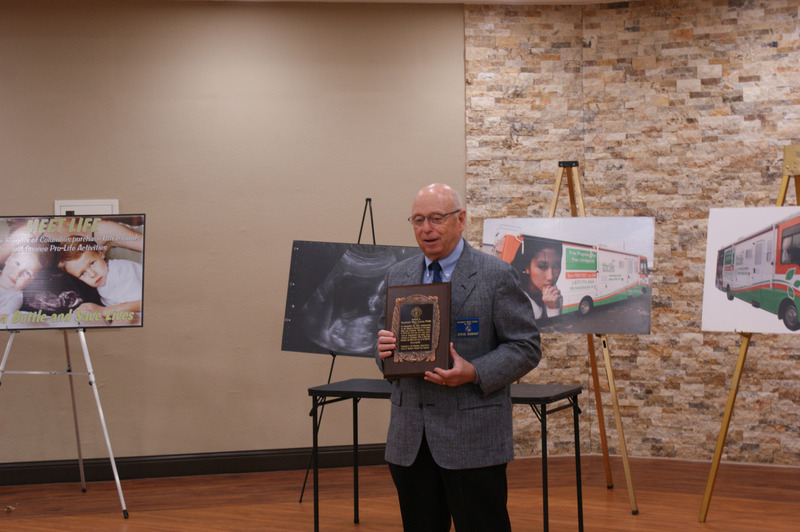 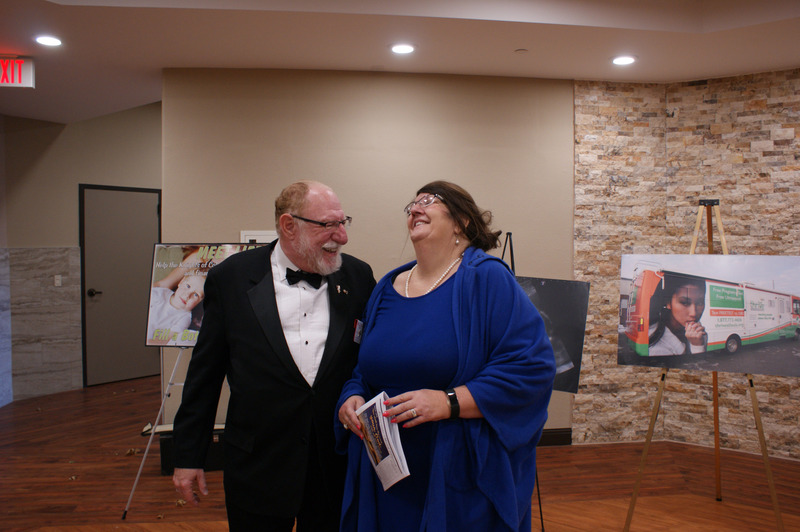 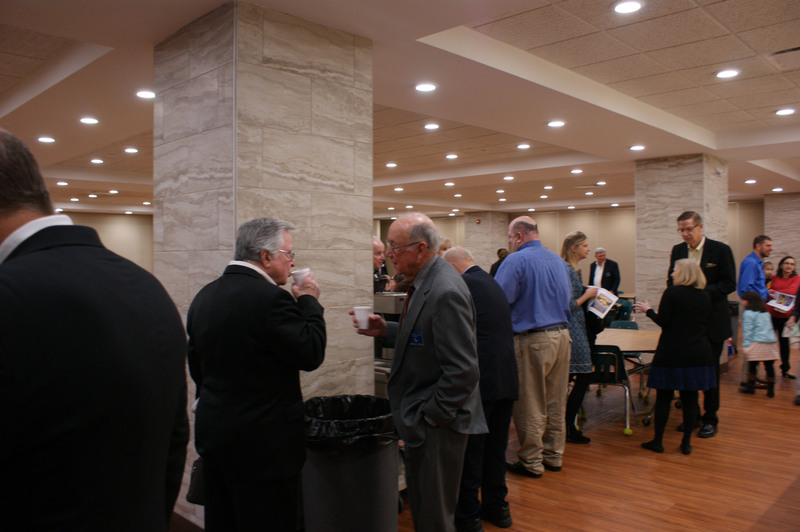 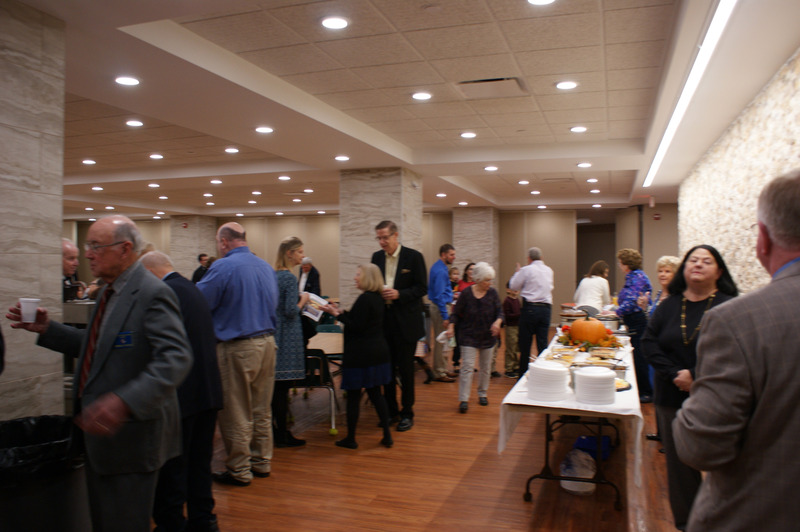 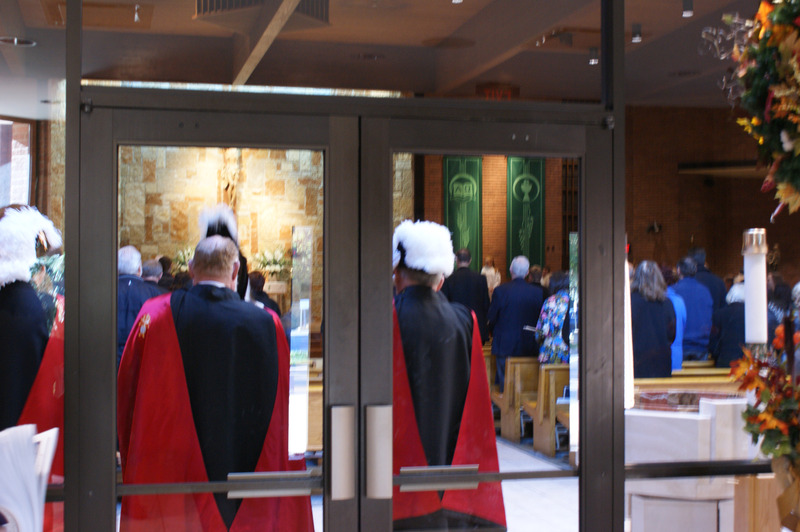 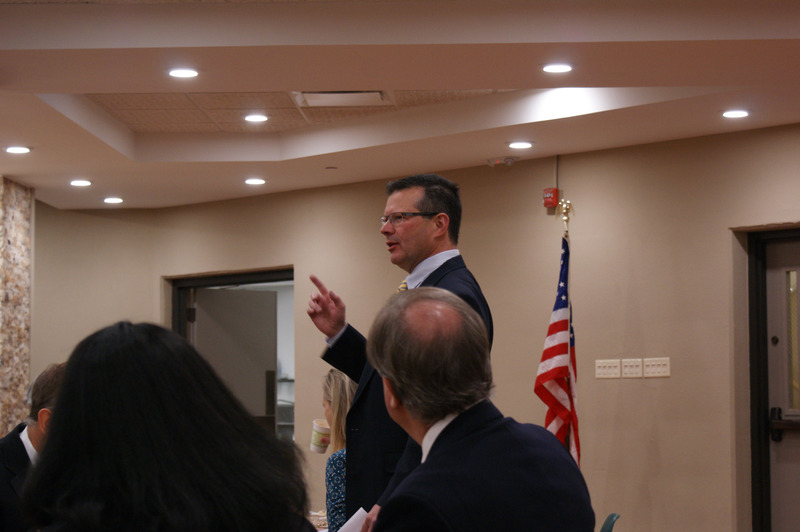 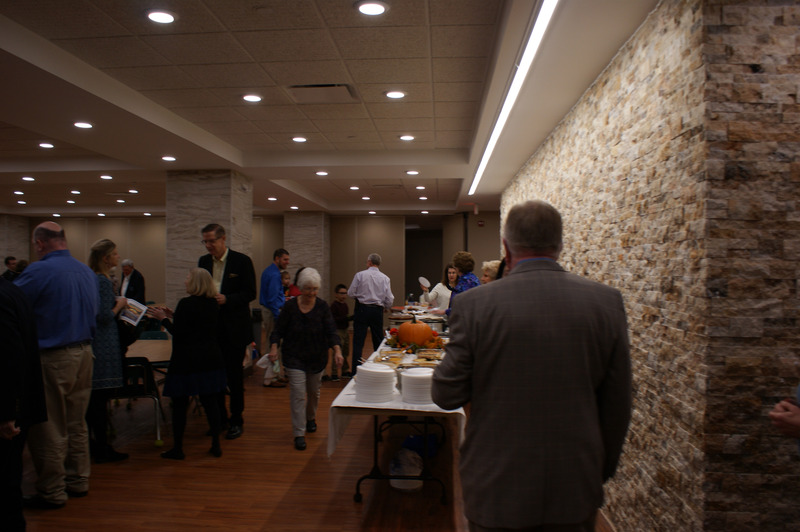 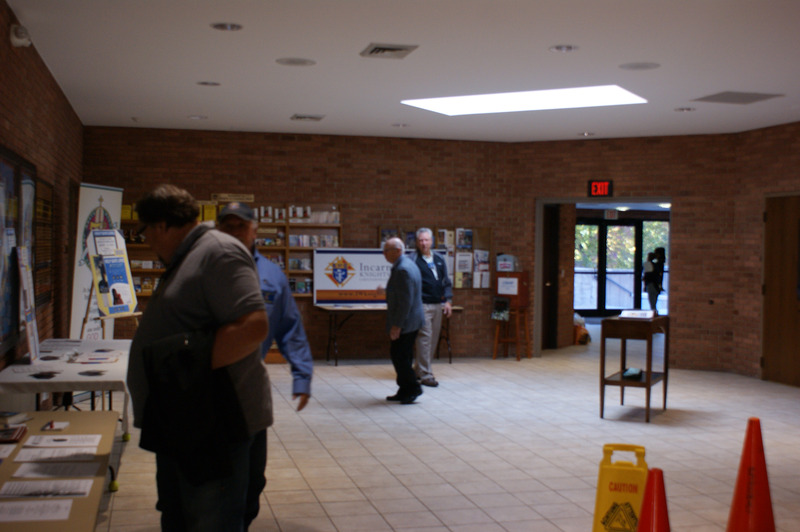 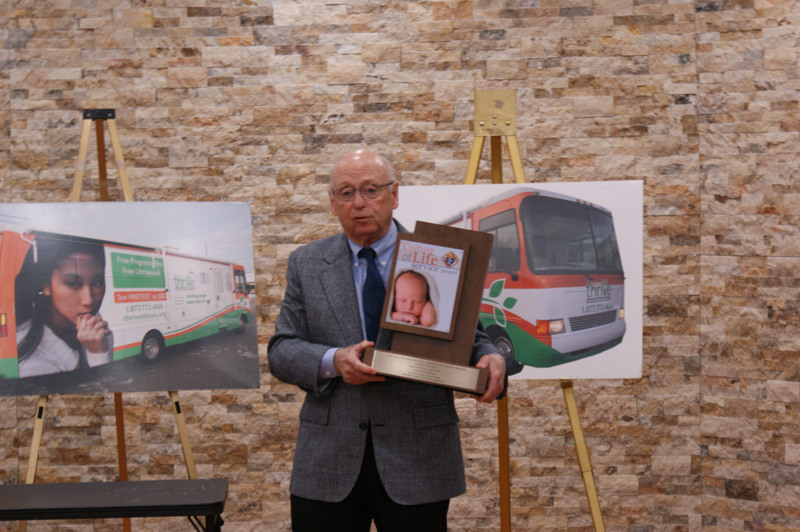 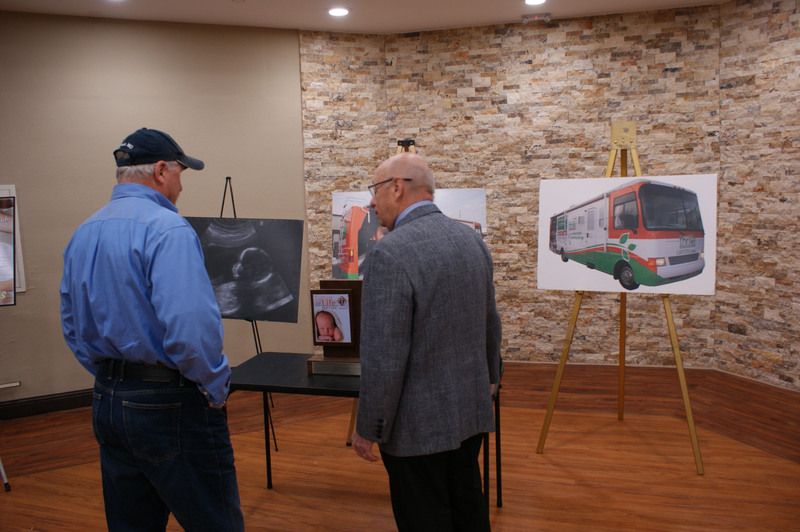 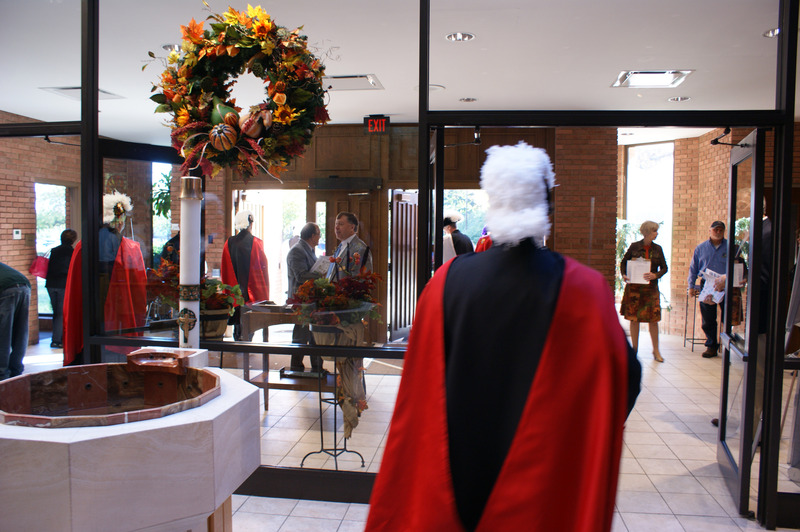 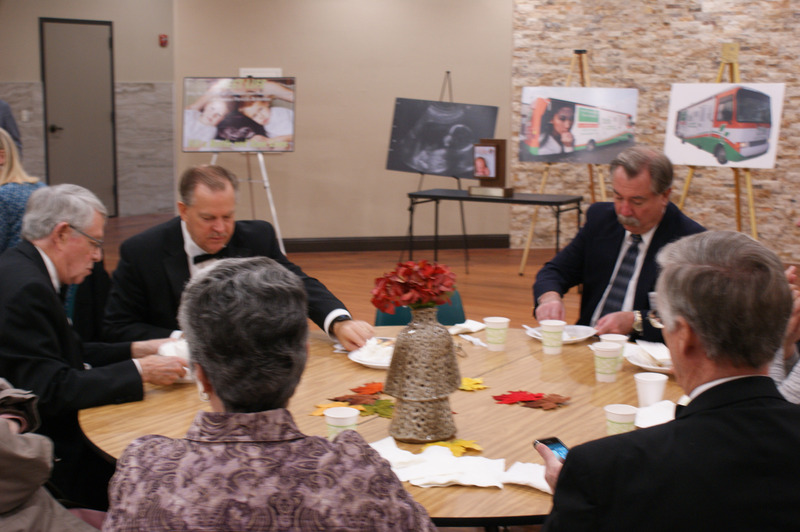 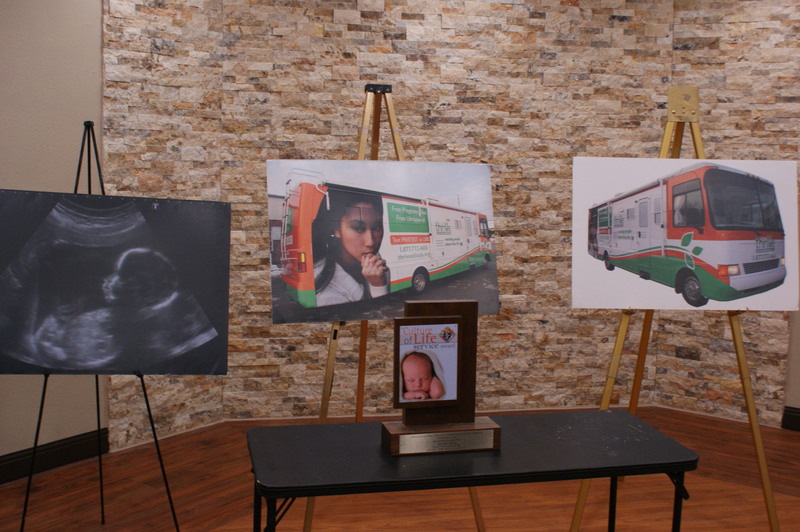 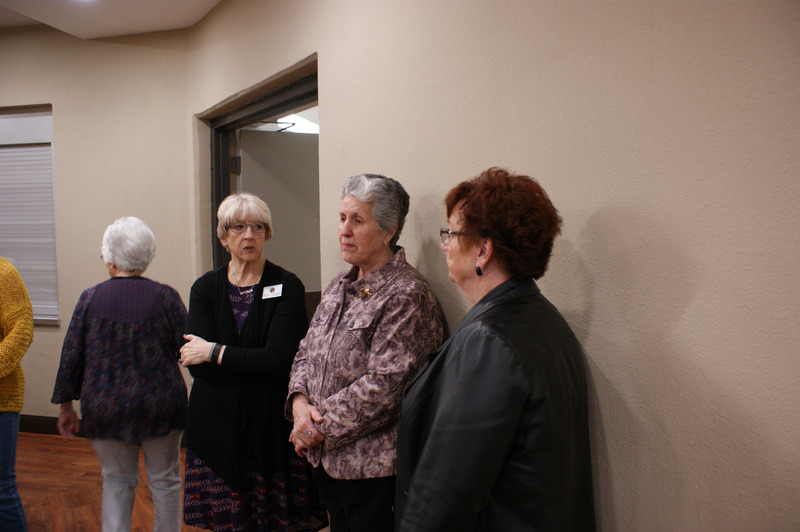 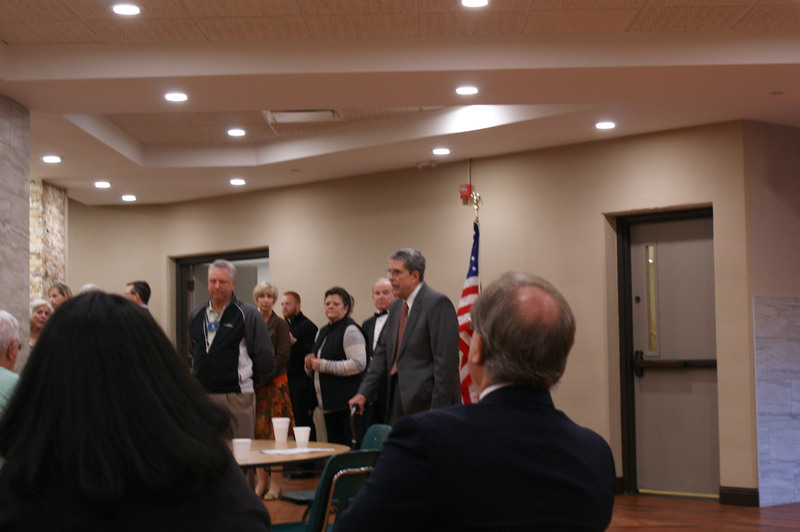 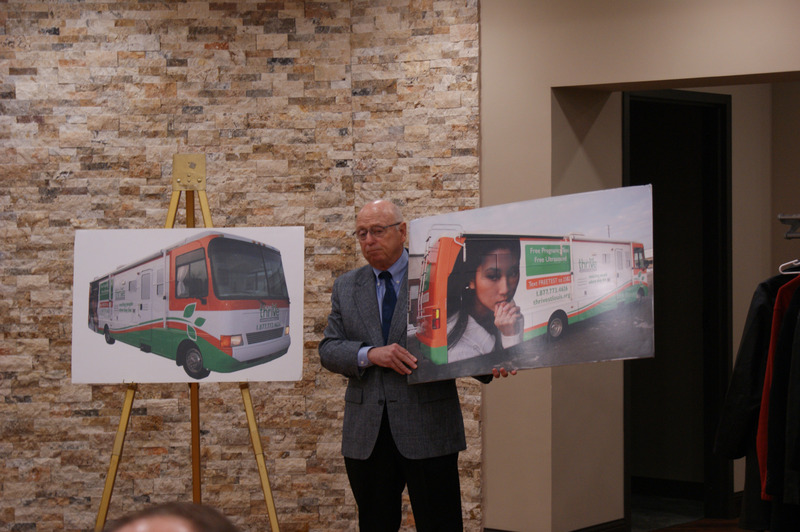 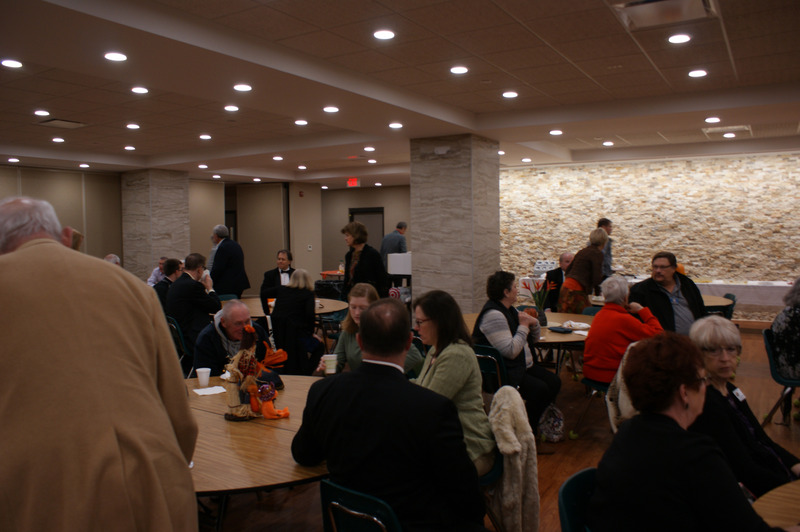 However, they did not come empty-handed, but rather came to recognize the council’s Pro-Life efforts within our parish and across the St. Louis Archdiocese. 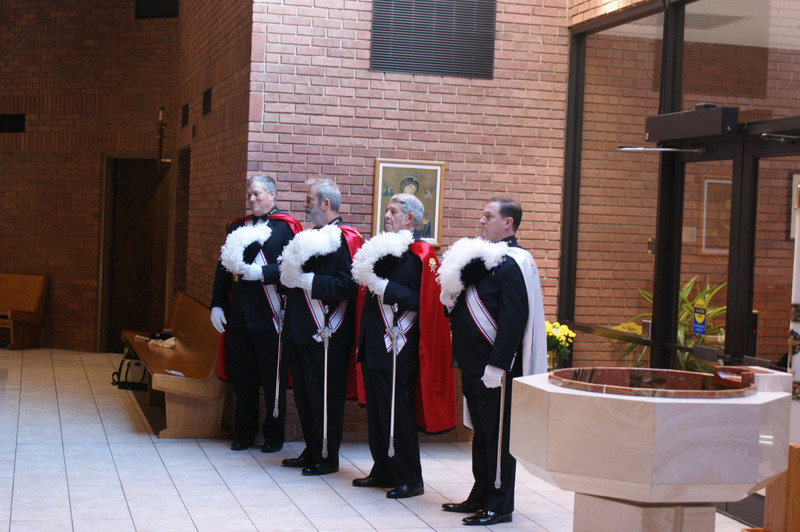 Specifically, the State Knights presented us with a plaque which recognized our efforts – since 2011 – in connection with the formation, management and support of the StL KofC Baby Bottle Baby Brigade, the two highly successful Baby Bottle Campaigns undertaken within our parish and acknowledgment of the fact that the second Campaign, held last December, officially put the State Council over its $2-million Meet Life Campaign goal. 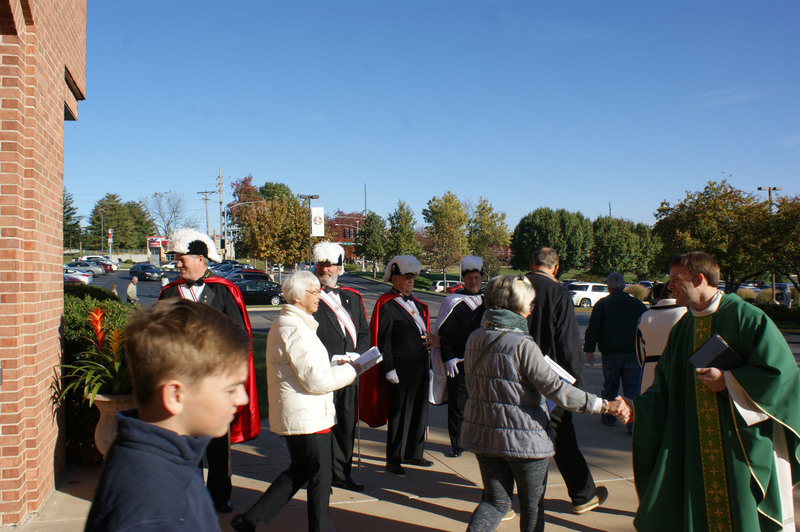 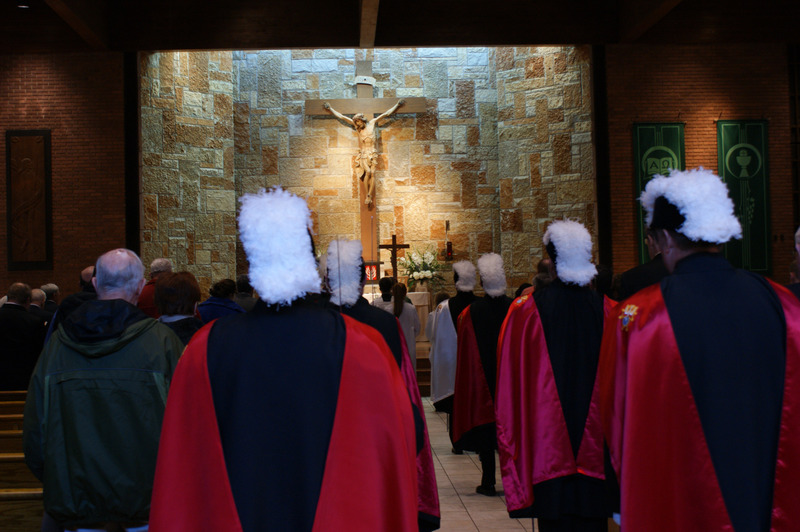 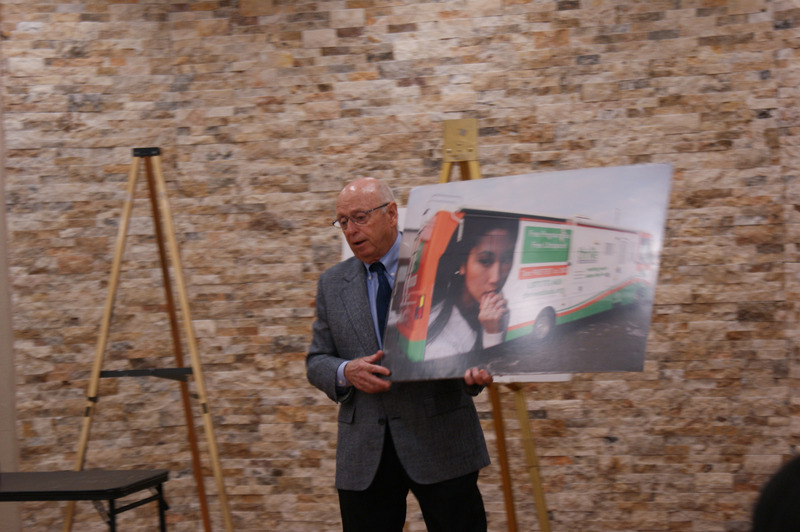 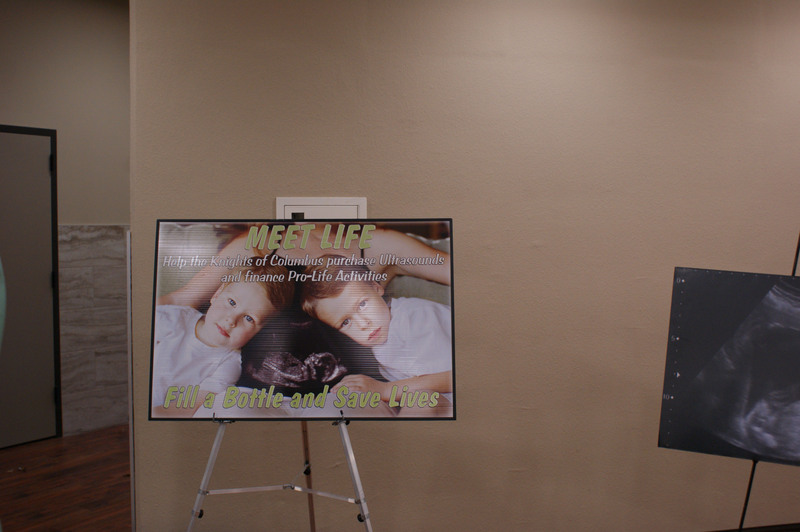 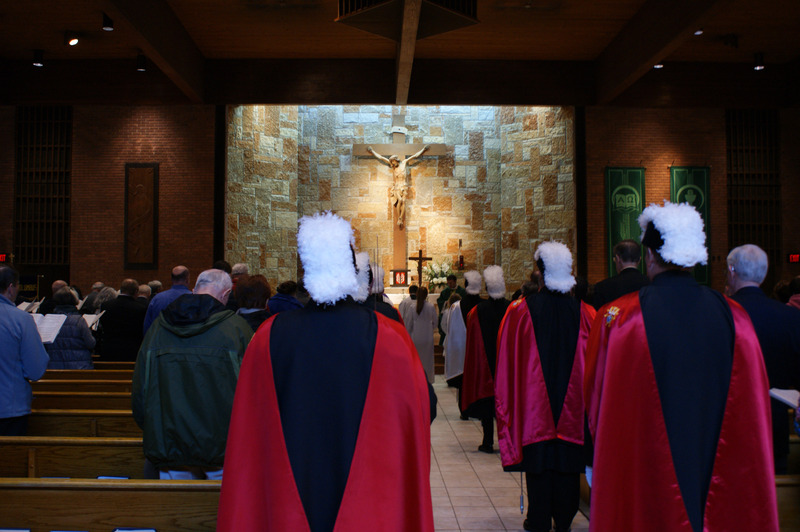 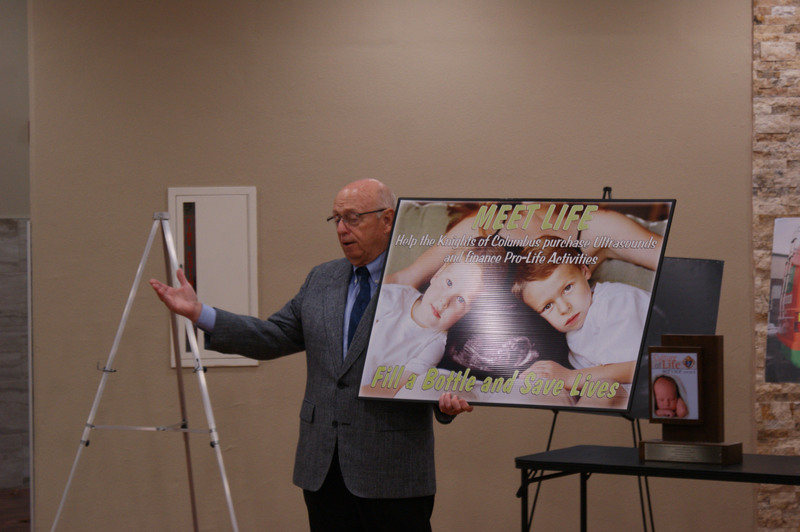 The total fundraising amounts were notable and certainly demonstrate the fervor of the Pro-Life generosity in our parish (an average of over $112,000 per Campaign) and the archdiocese in general (over $750,000 was raised by the Brigade of KofC councils during the 35 different parish Campaigns). 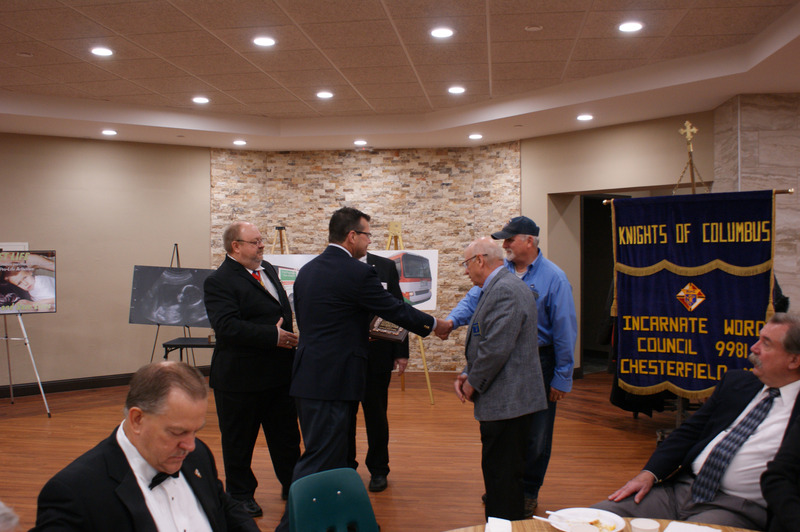 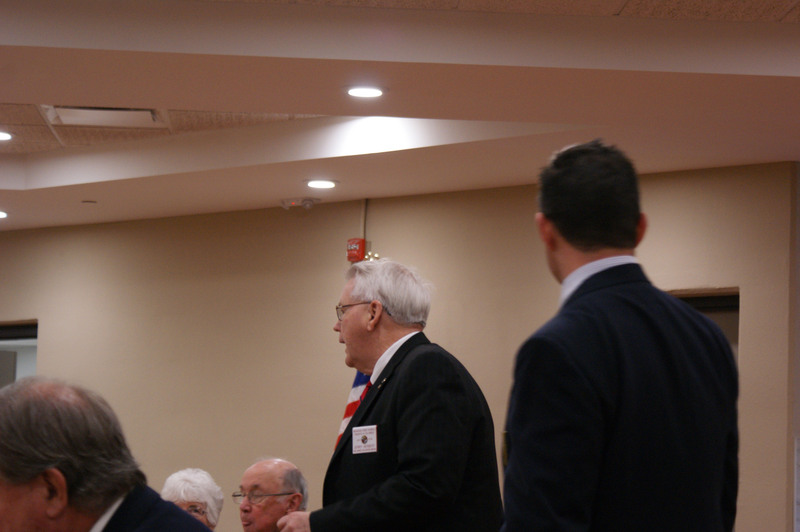 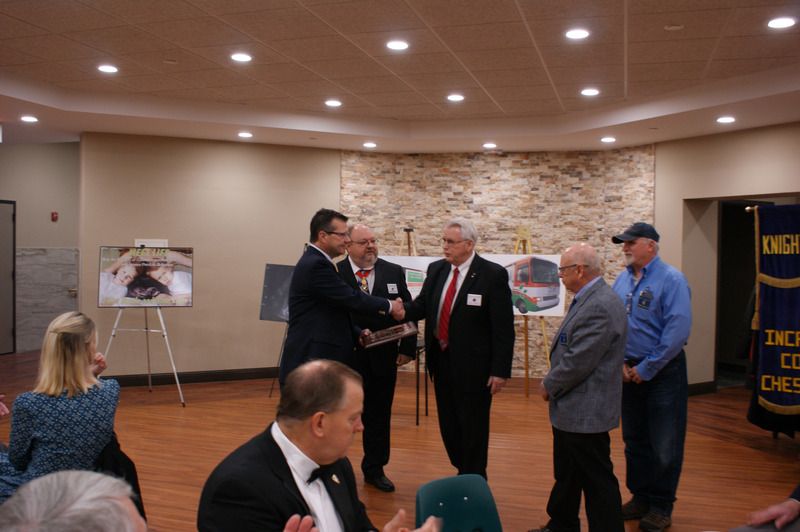 In addition to the two State representatives, their wives, Bev and Chris, we were pleased to welcome two Brother Knights from the Ascension Council Knights of Columbus, Bill Lukas and Ted Naegel. 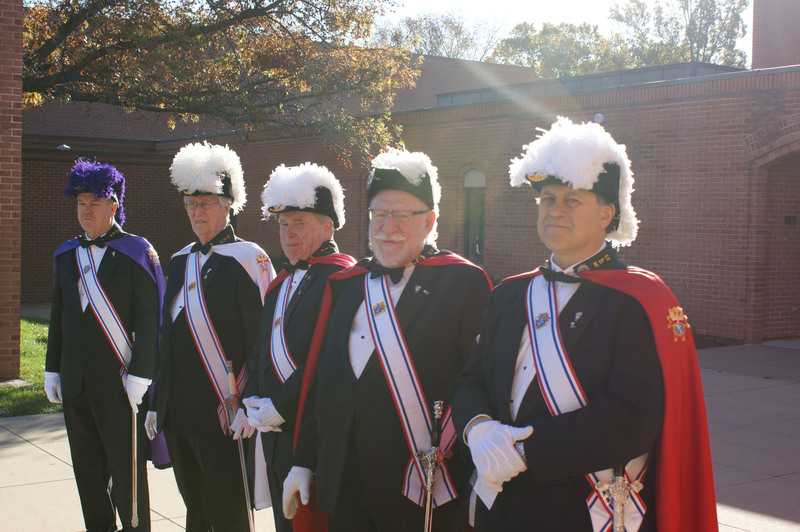 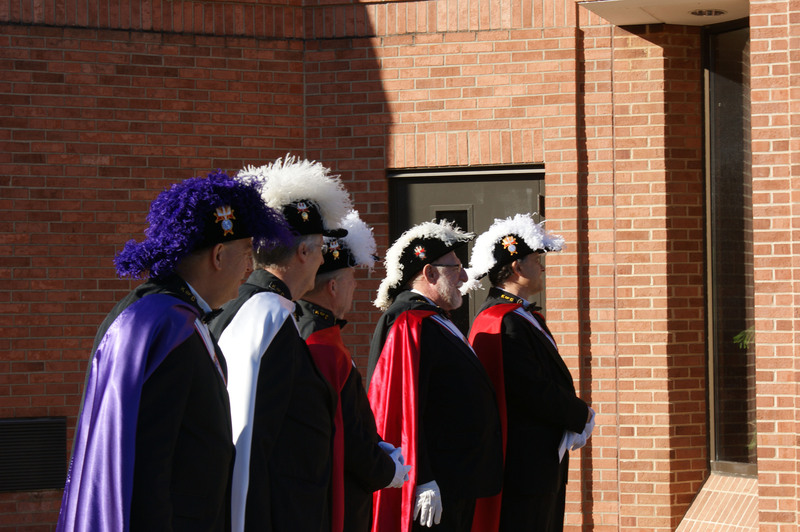 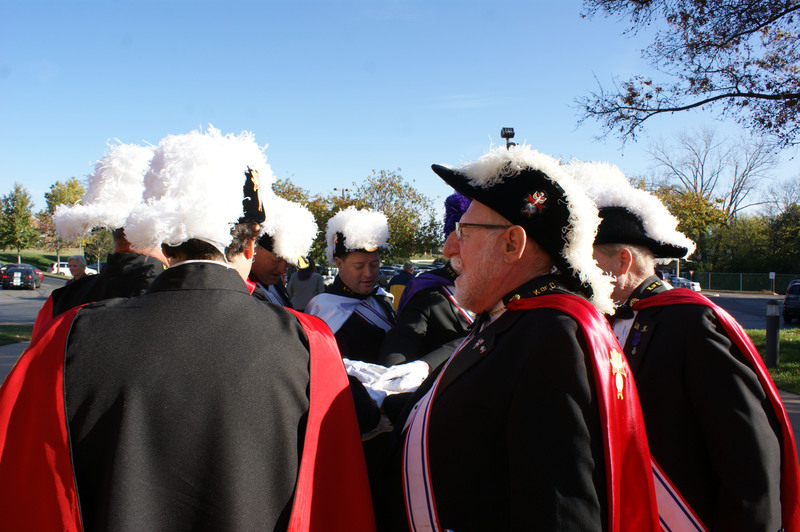 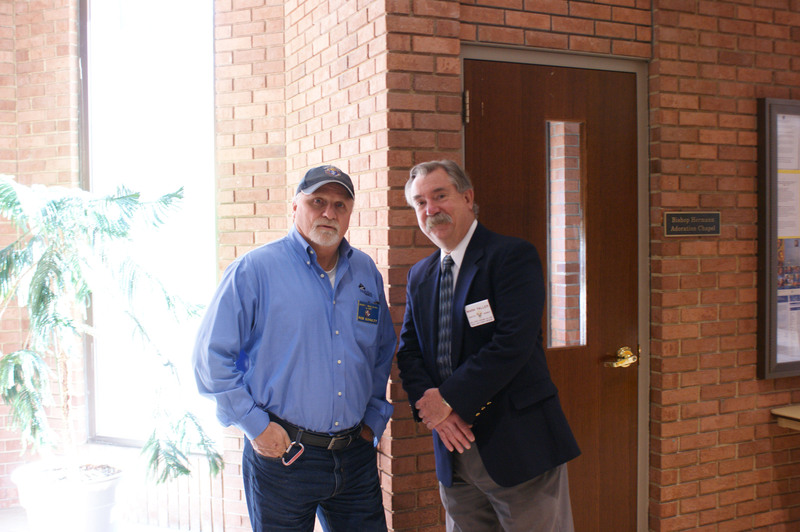 Both Knights were key parties in organizing successful Campaigns in their West Chesterfield parish and enthusiastically supporting the Brigade effort. 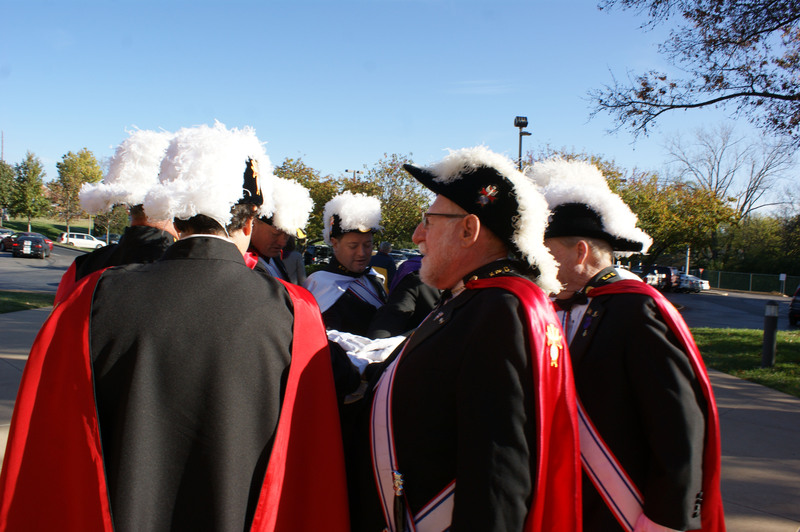 You can find information about the IWKnights at: www.IWKnights.com/bulletin or at facebook.com/IWknights 9981.